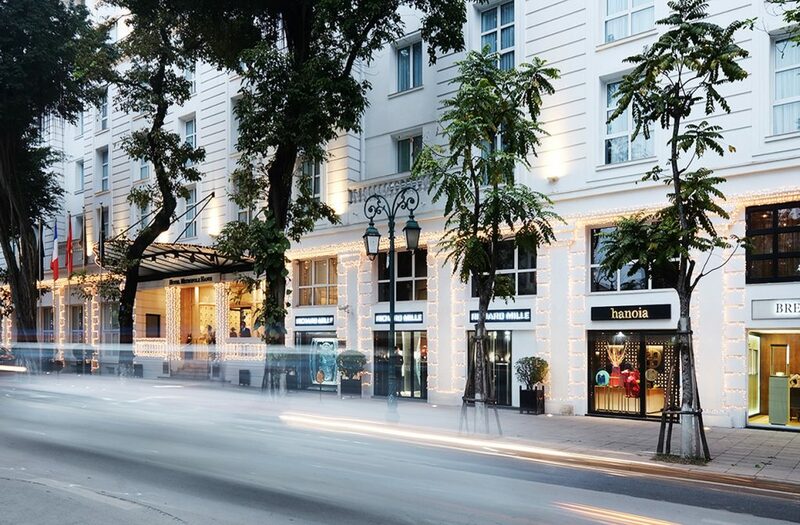 The Sofitel Legend Metropole Hotel on Ly Thai To Street in Hanoi, is infamous in Hanoi for its colonial architectural roots and retail presence. 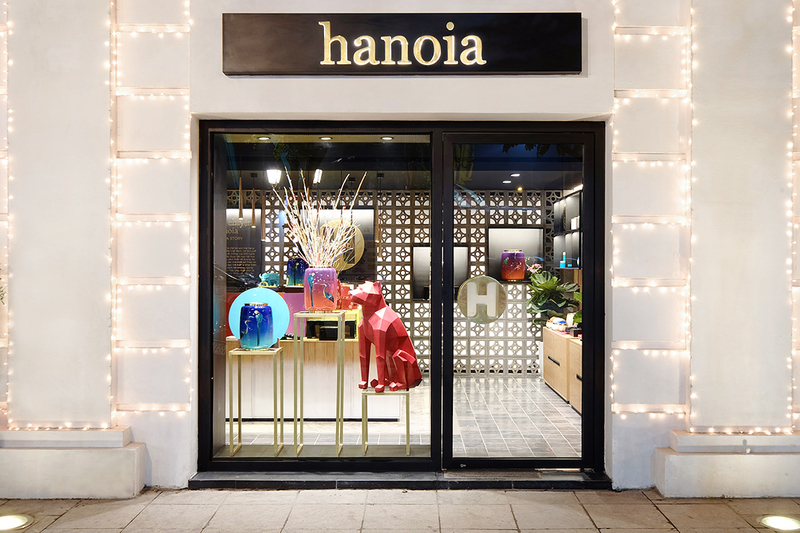 Suitably, here is where the latest retail outlet for the Hanoia brand, an established producer of traditional Vietnamese lacquer products, has opened. This is the second Hanoia project completed by G8A, the first being Hanoia House which is set within a traditional Vietnamese architectural context that is well reflected in its design. 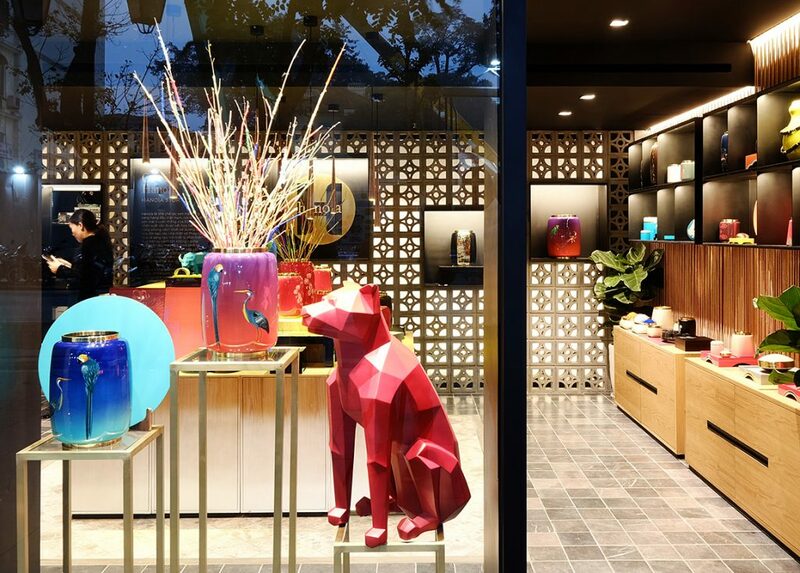 Hanoia Metropole Boutique has many important principles that take into account the “heritage envelope”, which outlines the details and preserves the spirit of place. Also, the “Vietnamese filter” which aims to create a reinterpretation and reutilization of Vietnamese craftsmanship, the underlining the roots of Hanoia. A strong identity is created by the feature wall constructed with Vietnamese ventilation bricks that highlight the display cases. Internally, the walls are covered with a layer of light concrete, creating a delicate background and the windows showcase the products adorned with curtains made of silk wire. The ground is covered with light and dark stone tiles that complement the existing design. The installation of a subtle and warm lighting system creates an intimate setting, providing a perfect balance between tradition and modernity. As such, the furniture follows the same concept ensuring a seamless integration in an existing space by utilising wood, lacquer, a light concrete and slight steel. All these interventions and features combine to ensure that Hanoia Metropole Boutique stands out amongst other international brands.